Last week, while chatting about cocktails, a coworker reminded me of the classic Vesper. Loved by James Bond, enjoyed, but not truly loved, by me the last time I mixed it up and reintroduced to the world during Casino Royale this is a cocktail I should love. Strong measure of gin, some bitterness and a bit of vodka to round it all out. Sounds about right, but the last time I had issues with the Lillet. The original recipe calls for a Kina Lillet, which is no longer made. Lillet Blanc, while very tasty, doesn’t have the quinine bitterness (the kina) found in Kina Lillet. Thankfully, Cocchi Americano has made its way into the American market. Cocchi (pronounced COKE-ey) Americano brings back the cinchona quinine bitterness and makes the Vesper awesome again. This time, the Vesper has really stepped up. As you’d expect, the gin is the star. But the vodka adds a wonderful fullness to the flavor and a velvety texture. It’s hard to put into words, but absolutely distinct. The Cocchi Americano adds exactly the bitterness that I looking for the last time. In fact, my added orange bitters weren’t needed here. This is one of those truly pure cocktails that have been moving more and more to the fore on my list. 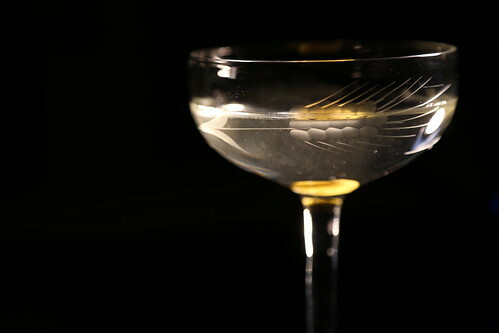 And, like any martini, the Vesper is highly configurable simply by swapping out the gin and vodka for your favorites. If you haven’t mixed up a Vesper, you need to. In advance, you’re welcome. PS – I went back to stirring. When you gin and vodka taste so damn good, it’s better not to over-chill them. * I may be partial to this particular bottle because I helped bottle it. But other bottles of Sno are equally great.